Hollywood’s glamour gals are not the only ones turning heads with their magnificent jewels. 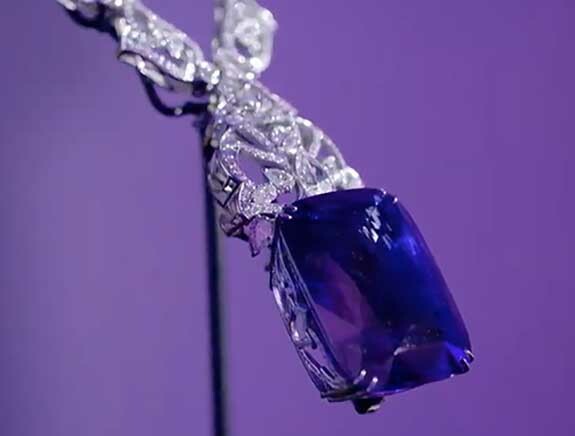 The Houston Museum of Natural Science (HMNS) just unveiled the stunning “Siren of Serendip,” one of the world’s largest blue sapphires. Weighing in at an awe-inspiring 422.66 carats, this gorgeous deep blue gem was discovered almost a century ago on the island of Ceylon (Sri Lanka). The original rough crystal weighed 2,670 carats before it was cut and polished. According to HMNS CEO Joel Bartsch, the Siren of Serendip was acquired after an exhaustive chain of events, including calls to the museum, a trip to Sri Lanka, calls to the board, release of the stone to the museum, transport to the U.S., vetting by a top gem laboratory, negotiations, and then outreach to donors. Several generous Houstonians sponsored the purchase of the rare gemstone and its exceptionally beautiful setting. Siren of Serendip is set in an elegant necklace designed and created by Ingo Henn of London and Idar-Oberstein, Germany. 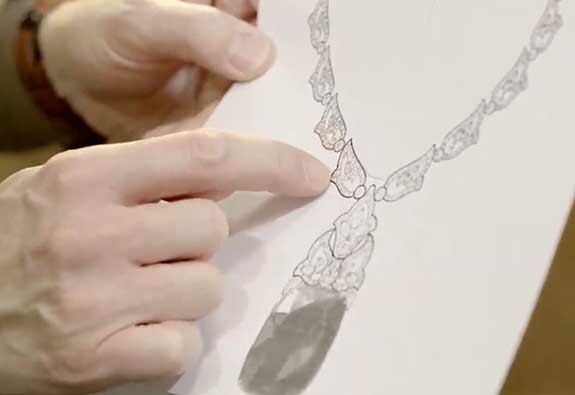 A master goldsmith and certified gemologist, Henn creates exquisite nature-inspired pieces from beautiful gems. He is the great grandson of a renowned gemstone carver and trader. The necklace features a cascade of 913 white diamonds (36.30 carats total weight), with the deep blue sapphire juxtaposed against cool white metals – platinum and white gold. 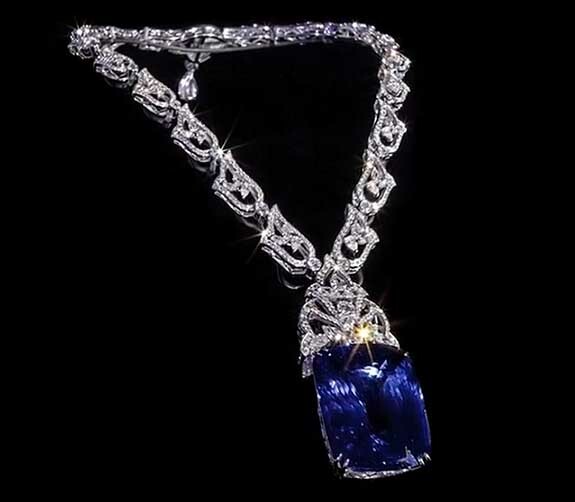 According to Henn, only white diamonds and white metals were used to frame the sapphire, making it pop. The necklace was then polished and rhodium-plated. Siren of Serendip is on temporary display at HMNS’s Brown Gallery until March 24. Credits: Images courtesy of the Houston Museum of Natural Science.